Citrix desktop virtualization, application virtualization, server virtualization, application networking, cloud computing and Software as a Service offerings radically simplify computing for millions of users, delivering applications as an on-demand service to any user, in any location on any device. Citrix® XenApp™ is an on-demand application delivery solution that enables any Windows® application to be virtualized, centralized, and managed. XenApp enables on-demand self service, by delivering applications instantly to users anywhere, from any device running any of over 30 operating systems. XenApp ensures that users receive a better than installed experience by leveraging application virtualization, session virtualization, and the unique Citrix® HDX™ technology. HDX adapts virtual application delivery and access based on each user device, network, and location to ensure the optimal experience. XenApp reduces the cost of desktop management up to 50 percent by simplifying the management and delivery of all Windows applications. Centralizing applications in the datacenter reduces costs and increases efficiency by enabling IT to manage a single instance of each application in an application hub, rather than using manual processes to install applications on every PC. Applications are then delivered via application streaming directly to Windows PCs for offline use or run on high-powered servers in the datacenter for online use on any device or operating system. 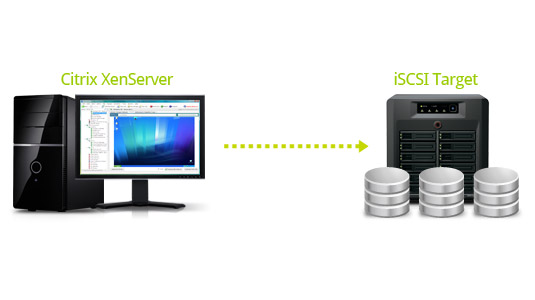 Citrix® XenServer® is a complete, managed server virtualization platform built on the powerful Xen® hypervisor. Citrix® XenServer® is a complete, managed server virtualization platform built on the powerful Xen® hypervisor. 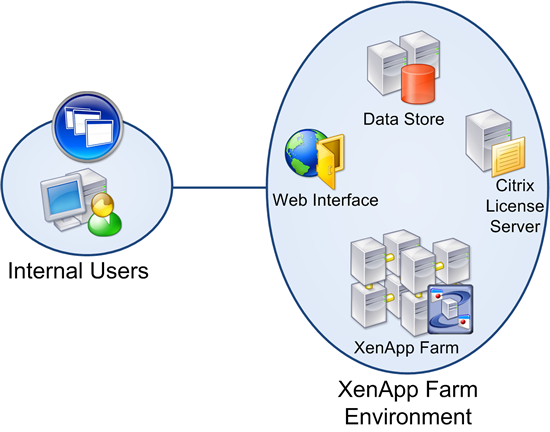 Xen technology is widely acknowledged as the fastest and most secure virtualization software in the industry. XenServer is designed for efficient management of Windows® and Linux® virtual servers and delivers cost-effective server consolidation and business continuity. Server virtualization is a proven technology that enables multiple virtual machines to run on a single physical server. Each virtual machine is completely isolated from other virtual machines and is decoupled from the underlying host by a thin layer of software known as a hypervisor. This allows each virtual machine to run different operating systems and applications. Because the machines have been decoupled from the underlying host, the guest can also be moved from one physical server host to another while running; this is known as live migration. These attributes are transforming how organizations approach virtual computing. Minimizes downtime by reducing the impact of failures and protecting against disasters. Citrix® XenDesktop™ is a desktop virtualization and Virtual Desktop Infrastructure (VDI) solution that delivers a complete Windows® desktop experience as an on-demand service to any user, anywhere. Citrix® XenDesktop™ is a desktop virtualization and Virtual Desktop Infrastructure (VDI) solution that delivers a complete Windows® desktop experience as an on-demand service to any user, anywhere. Whether users are task workers, knowledge workers, or mobile workers, XenDesktop quickly and securely delivers individual applications or complete desktops while providing a high-definition user experience. For the first time ever, XenDesktop makes virtual desktops a mainstream reality for hundreds of millions of corporate employees. Unlike first generation virtual desktop solutions that were applicable only to a narrow set of users, XenDesktop is the first product to support every desktop virtualization model in a single, integrated solution. This approach improves return on investment, simplifies management, and extends the benefits of virtualization to every employee in the enterprise. With XenDesktop, IT can manage single instances of each OS, application, and user profile, and dynamically assemble them to increase business agility and simplify desktop management. The open architecture of XenDesktop integrates with any hypervisor, storage, or management infrastructure. XenDesktop is the clear choice for virtual desktop management and VDI. With its unique FlexCast™ delivery technology, XenDesktop quickly and securely delivers individual applications or complete desktops to the entire enterprise, regardless of user type. With FlexCast, users get the experience that fits their work style instead of having to match their work style to the limitations of alternative solutions. Citrix® HDX™ technology gives XenDesktop users an experience that rivals that of a local PC, even when using multimedia, real-time collaboration, USB peripherals, and 3D graphics. Webcam and VoIP support, improved audio, 3D graphics support, and branch office WAN optimization ensure that users have a high-definition, high-performance experience regardless of location. Only XenDesktop users can access their desktops and corporate applications from any PC, Mac, thin client or smartphone, by leveraging Citrix Receiver™ as a lightweight universal client. This enables complete workplace flexibility, business continuity, and user mobility. The combination of FlexCast, HDX, and Citrix Receiver technologies available only in XenDesktop enables you to deliver virtual desktops without compromising the experience your users expect. Further information on Citrix solutions can be found on Citrix website at www.citrix.com. For any clarifications please feel free to contact us at +357 22028128 or send us an email at citrix@zebrac.com.